Finding a quality experienced roofer in our region can be difficult. Since 1992, our customers have trusted Umbrella Roofing Systems, Inc. with their roofing projects. That’s a proven track record of success that has earned us a special place in our community. Customers turn to us to “Get under the Umbrella”. If you want a contractor with a history of quality work, choose Umbrella Roofing Systems, Inc. to install the Duro-Last Roofing System. Umbrella Roofing Systems, Inc. exclusively installs Duro-Last Roofing. 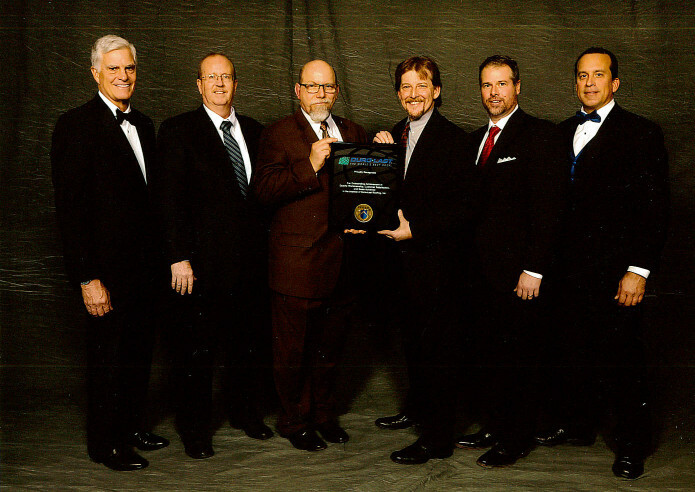 We are a Duro-Last Elite Master Contractor approved and certified to install “The World’s Best Roof”. This designation is only bestowed to contractors exhibiting the highest levels of quality and service. Our team of installers are dedicated to ensuring that highest level of quality and service to our customers. Umbrella Roofing Systems, Inc. has installed over 8 million sq. ft. of Duro-Last roofing. We have covered roofs all over the region from New York down to West Virginia and Pennsylvania in to Ohio. We also have completed roofing projects in a few other states. Umbrella Roofing Systems, Inc.is located in Ellwood City, Pennsylvania, and is owned and operated by our President Brian E. Ralph, Vice President Ronald D. Lutz, and Secretary/Treasurer Richard J. Briggs. Daily operations and roofing are personally overseen by President Brian E. Ralph. Sales are managed by Sr. Account Executive Dan Barie and Account Executive Steve Nelson. Umbrella Roofing Systems, Inc. continues to grow.